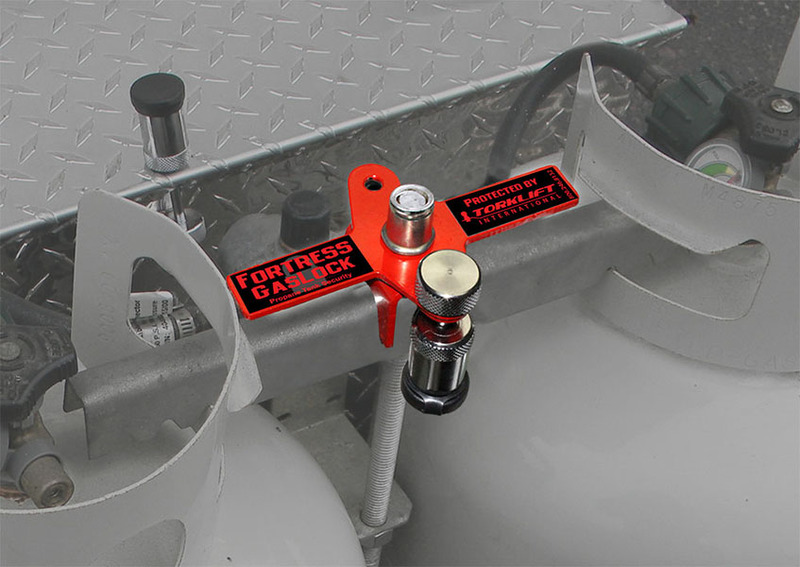 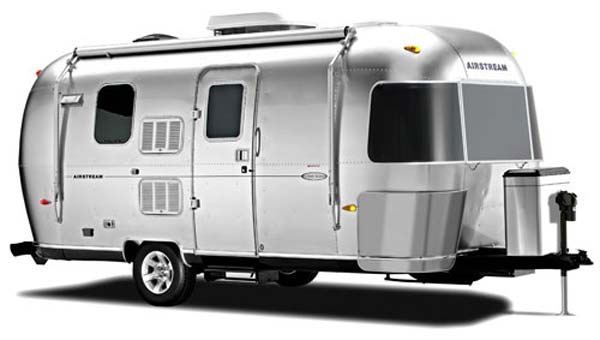 The Fortress GasLock securely locks propane tanks when mounted to trailers, towables and RVs. 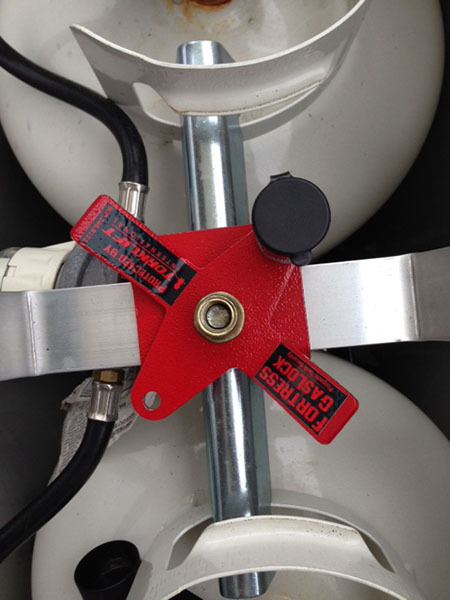 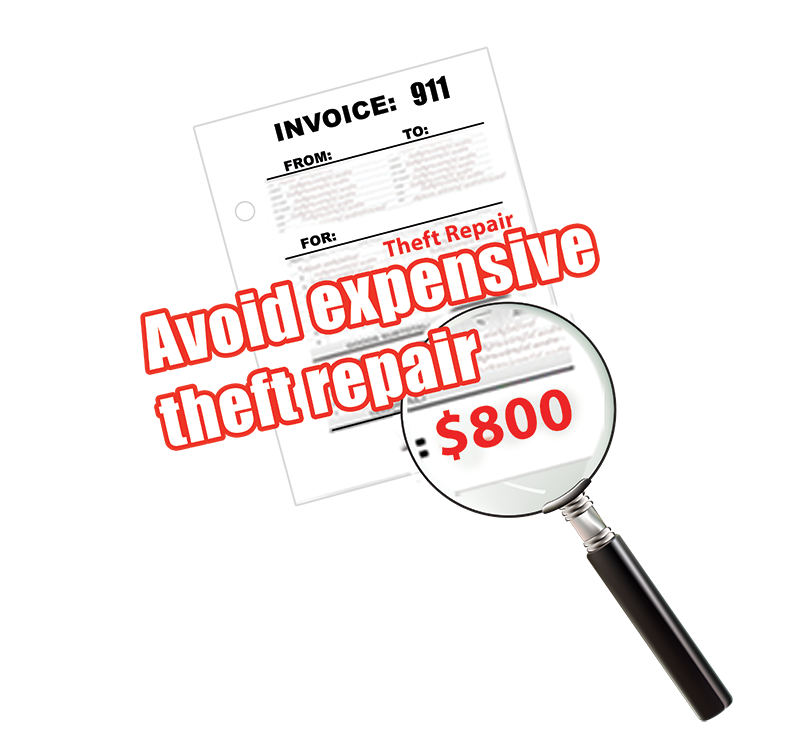 Propane tank theft is on the rise and this product helps you to avoid common propane tank theft and repairs that exceed $500. 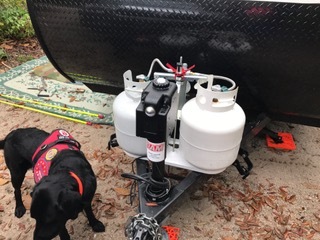 Recently propane tanks are being reported stolen for the use of producing methamphetamine. 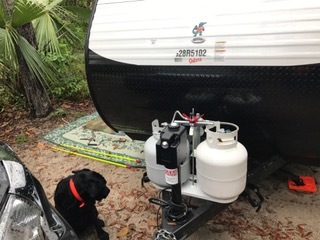 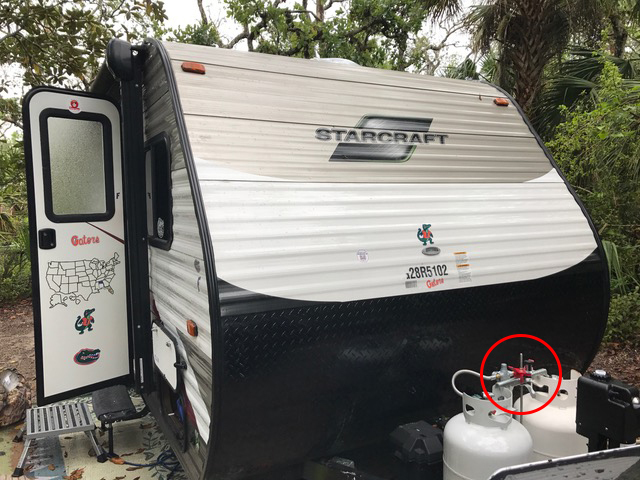 Not only are criminals stealing propane tanks, they are also damaging the RV extensively to remove the tanks by cutting the lines resulting in significant damage. 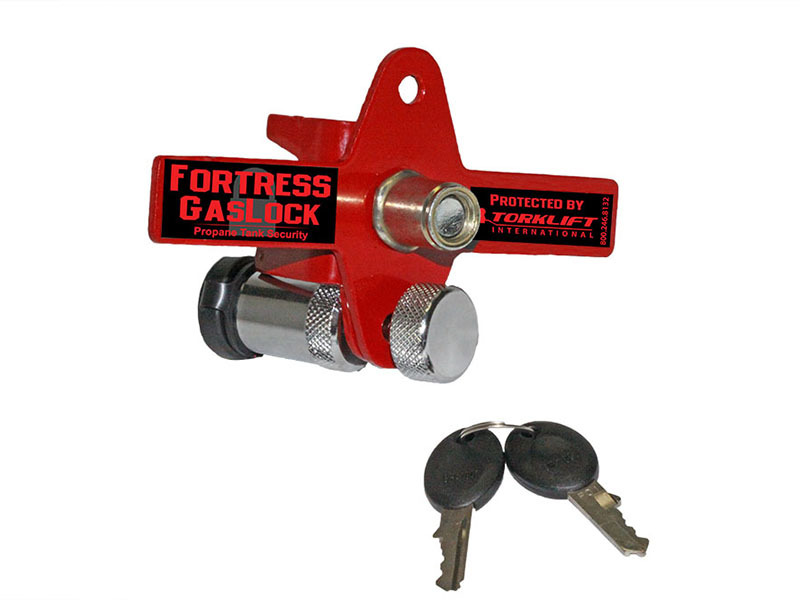 Fortress GasLock does not require tools for installation and only takes seconds to install. 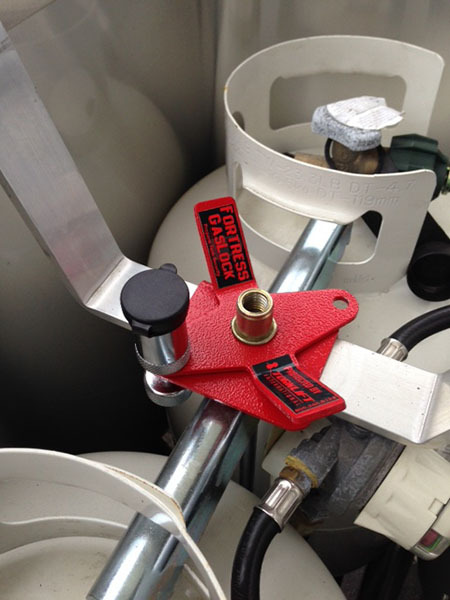 The propane tank lock does not interfere with LP tanks and can be filled while it is locked. 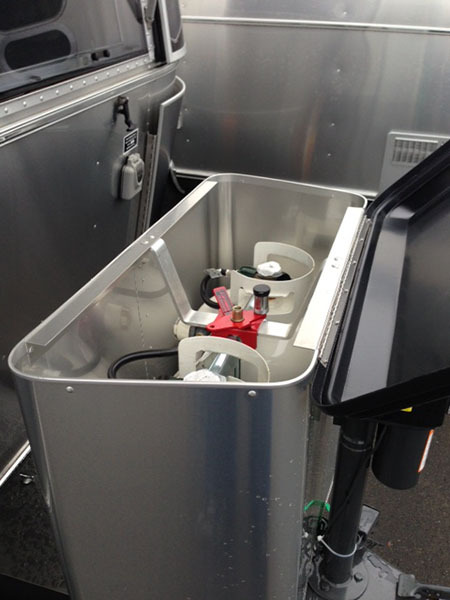 It is designed for dual tanks and is made with high impact powder coated military grade aluminum. 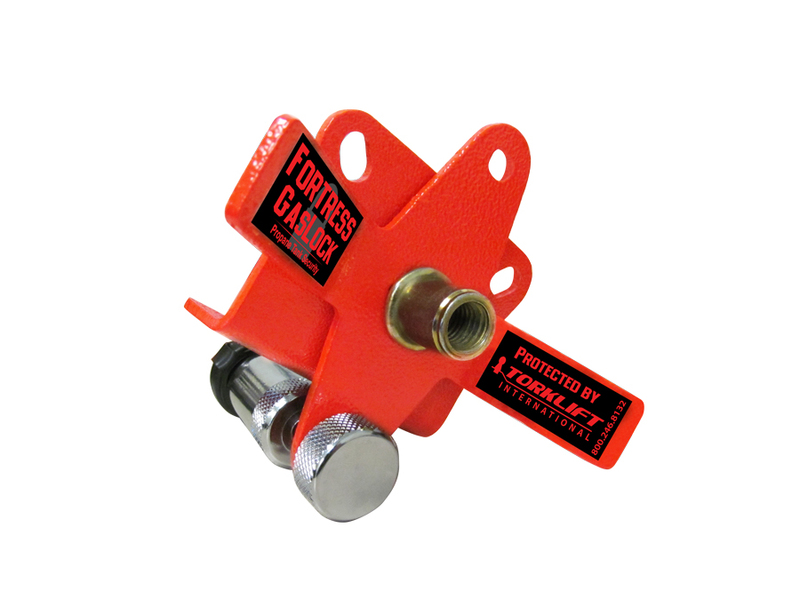 It works with the most common threaded rods found on RVs today. 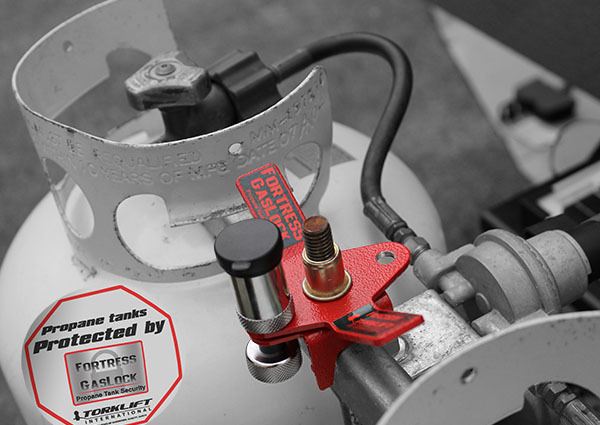 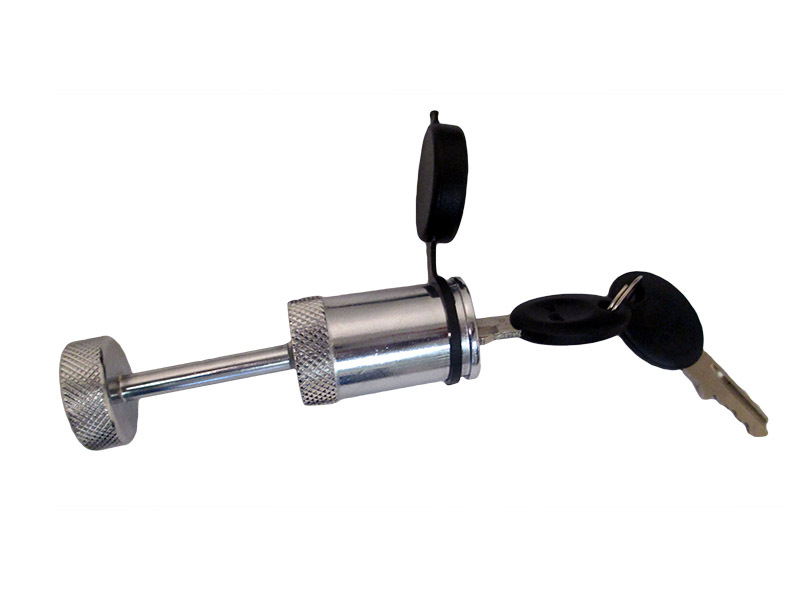 It's the only lock available specifically designed for LP tanks in the industry and is proudly made in the USA.